Ten Thousand Trees: Bizarre tree or accident of Nature? 12-27-06 Bizarre tree under bizarre light, originally uploaded by Picture_taking_fool. I´m really not sure this can be called a tree or not. Perhaps it is some sort of alien life form dropped off by a UFO as some sort of experiment or interstellar practical joke. 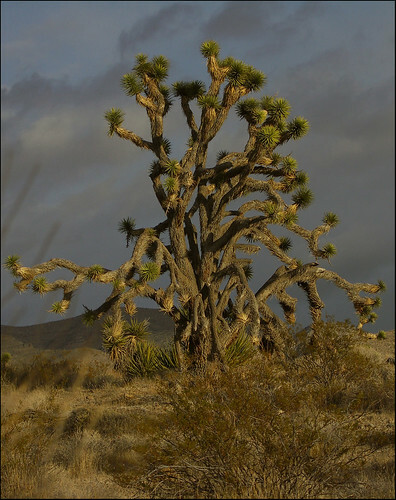 Whatever the case this large tree like plant was photographed between Pahrump and Mt. Charleston.